The latest Dodd & Co project involved working with the Houdini members of the canine world. Siberian huskies are beautiful dogs, with thick, sleek coats, blue or multicoloured eyes and striking facial masks. The Siberian Husky, as its name suggest, originates in the cold arctic areas of Siberia, but their handsome features and wolf-like grace have made them an attractive breed for people living all over the world. The only problem for owners of this lovely dog, is that they are inveterate escape artists and will use all their considerable intelligence to mastermind escape plots that can involve going through, over or under even the strongest fence. The Siberian Husky is believed to have originated among the Chukchi, a tribe of Siberian nomads. The breed's history is relatively unknown but DNA tests confirm that they are among the oldest of dog breeds. We do know that the Chukchi used the dogs as fast transportation and that they interacted with the Chukchi as a family dog. Huskies often slept with the children and provided warm comfortable beds for them. The Siberian Husky was imported to Alaska in 1908 and was used as sled dogs during the gold rush. For today’s dog owners, while the Siberian Husky may be a beautiful animal, it can also be fiercely independent and is highly intelligent, which makes keeping one a challenge for inexperienced husky owners. The Husky is also very powerful and athletic and is a confirmed Houdini breed – always looking for a route into the wider world. Fencing has to be both high enough to stop an escape over the top, while a sunken area of fencing is needed to prevent a ‘great escape’ type of manoeuvre. The Husky can be relied on to test every means of escape, whether it is slipping the lead, scaling a wall or digging its way out of a yard. The Siberian Huskies are medium sized dogs – they can weigh anything from 35 to 60 pounds and stand 1 foot 8 inches to 1 foot 11 inches at the shoulder. Creating a safe, fit-for-purpose area for one keeper of Siberian Huskies was the challenge set to Dodd & Co. 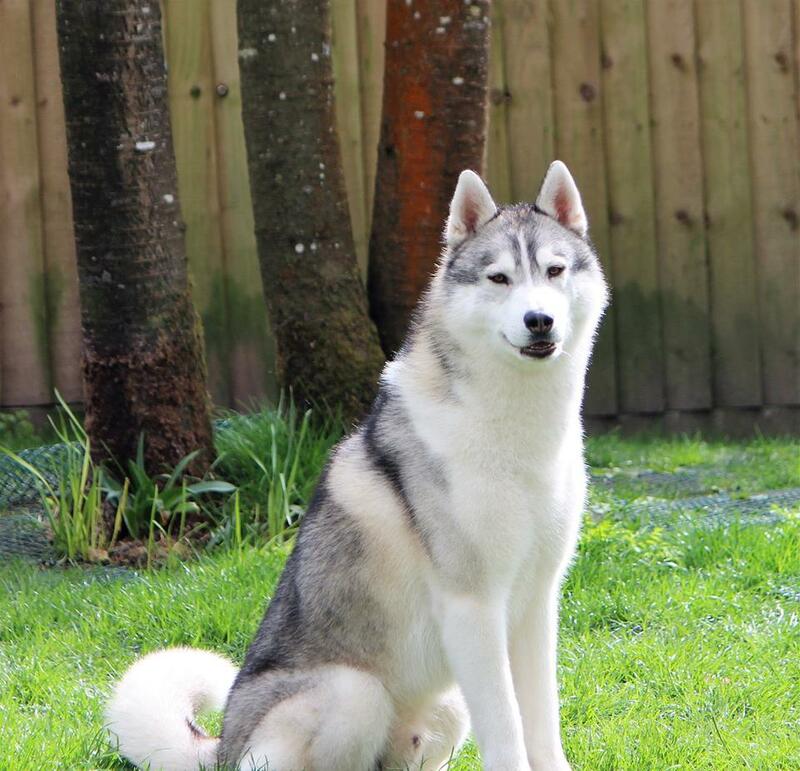 The owner has 11 Siberian Huskies, which live in specialised dog housing and have the run of a yard. Dodd & Co’s task was to create an area that would allow the dogs space and freedom but stop them from either escaping or being ‘dog-napped’. To keep these beautiful, yet challenging dogs safe and secure, Dodd & Co put up a 2.4 metre Otter fence around the yard area. There was a turn-out at the top, to prevent the most determined dog from getting over the fence. A skirt was buried 50 centimetres below the surface and there was also an 18 gauge rabbit wire on the ground, adjacent to the fence, which stretched over 1.2 metres. This prevented the dogs from digging at the base of the fence. The entrance to the yard also needed careful consideration, so the team used Deer Gates, with cranked brackets and concrete threshold. Again, this high level of gating is a nod to both the dogs’ escapist tendencies and the threat of thieves. Dog kennels and exercise yards are just two of many construction projects in which Dodd & Co specialise. For further details or to discuss your construction, agricultural, farming, equine or gardening needs, call Jamie Dodd on 07766815830. Visit the website gallery or articles page for further examples of Dodd & Co’s work. Newer PostWhen 'being in the dog house' is a good place to be!